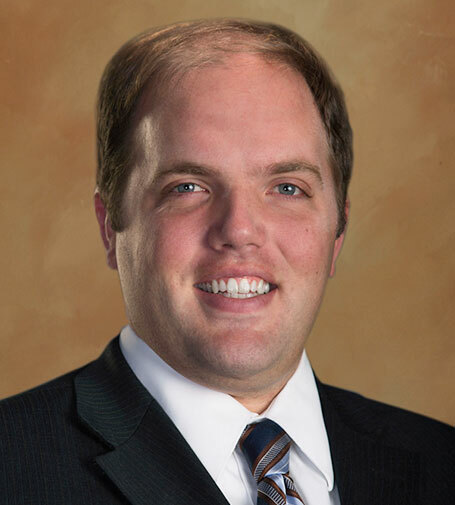 Jacob A. Reynolds is Of Counsel with the Firm and personally AV-rated attorney by Martindale-Hubbell®. Jacob practices mainly in commercial, healthcare, business, employment, and intellectual property litigation. He is admitted to practice in Nevada federal and state courts, federal courts in Florida and Colorado, and United States Courts of Appeals for the Ninth, Tenth, and Federal Circuits. Jacob attended Brigham Young University for his undergraduate studies where he completed a double major in Philosophy and Economics. Jacob’s academic focus as an undergrad was econometrics and logic. Upon graduation, Jacob attended the Institute for Humane Studies at Princeton University. Jacob then attended law school at the J. Reuben Clark Law School, where he was President of the Federalist Society, received the Faculty Award for Meritorious Service and Distinguished Service, participated actively in the American Inns of Court (Court I), was an Executive Editor for the Journal of Public Law, and served as the Symposium Director for a published Symposium on the Proposed Federal Gay Marriage Amendment. During law school, Jacob completed two externships with federal judges: Judge Lloyd D. George (Las Vegas) and Judge David Sam (Salt Lake City). He also authored or co-authored four publications in academic journals. Jacob is a member of both the Board of Directors for Keystone Corporation and the Executive Board of Nevada Succeeds, and is a former chair and current member of the J. Reuben Clark Law Society. Jacob joined the Firm after a two-year federal clerkship with Chief Judge Roger L. Hunt, U.S. District Court (Las Vegas), preparing bench memos and orders, as well as helping with cases at the Ninth Circuit (sitting by designation) and Judge Hunt’s work on the Ninth Circuit Jury Instruction Committee. When Jacob is not working, he enjoys traveling and spending time with his wife and children. He comes from a family of eleven children. Growing up, he lived with his family in the U.S., Scotland, and Israel. Jacob’s community involvement has included teaching English as a Second Language classes to Native Spanish Speakers, coaching high school and youth soccer teams, volunteering with the Salvation Army and Habitat for Humanity International, and serving in his church, including a two-year mission in Argentina. Represented many doctors against the federal and state governments for claims of Medicare and Medicaid fraudulent billing practices; Represented various medical professionals in Medical malpractice defense cases; Represented large international companies on collecting judgments; Represented dozens of doctors against a surgical center that closed its doors to them so it could enter an exclusive contractual arrangement with a group; Represented several prominent politicians before Nevada Commission on Ethics; Represented the Nevada GOP in the redistricting case of the decade to challenge the unconstitutional redistricting configuration; Represented the State of Nevada in challenging the Patient Protection and Affordable Care Act as Unconstitutional; Represented a large national corporation against a complaint for wrongful discharge; Represented several international, national, and local corporations and individuals in lawsuits regarding the alleged infringement of intellectual property rights (patents, trademarks, and copyrights). Hosts large CLE each year in conjunction with J. Reuben Clark Law Society and the Legal Aid Center of Southern Nevada to promote the ethical practice of law and increase pro bono service provided by attorneys.